The World Poetry Society has been friends of the ACWW and the writing community for many years. 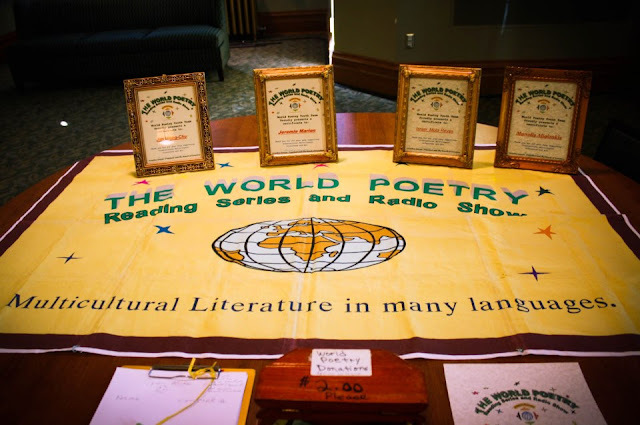 It was created by Ariadne Sawyer and Alejandro Mujica-Olea in 1997 with the mandate to give recognition to multicultural and multilingual poets and writers, giving a venue for those writers who were often neglected or misunderstood. 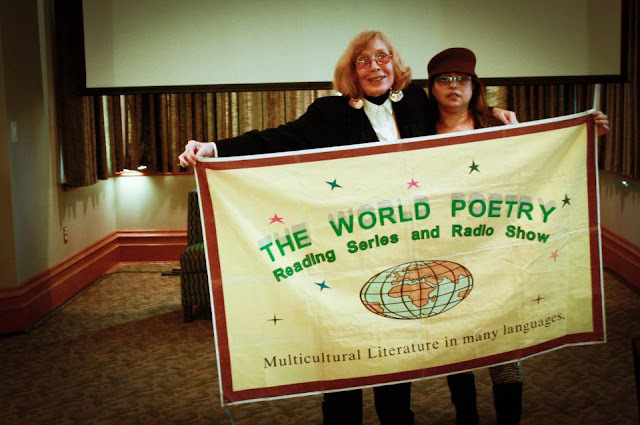 On November 24, 2012, World Poetry featured interactive presentations about writing, readings by featured poets. These readings were followed by an open mike for opportunities for reading new poetry from the audience. 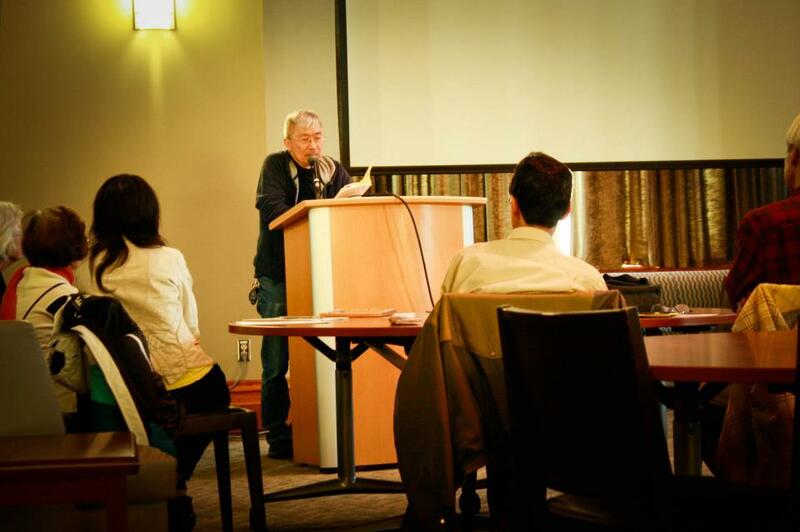 World poetry members, UBC students, faculty, and campus organizations attended this public event. Poets included Yilin Wang (UBC student and World Poetry Youth Team leader), Israel Mota, poet, actor and musician, & Spanish host of the World Poetry Cafe Radio Show; Dr Warren Stevenson, Professor Emeritus of Romantic Literature at UBC; Jim Wong-Chu, poet and historian; Jerimie Marion- local writer and poet; and Manolis (Emmanuel Aligizakis), poet and author.